When the Game Stands Tall revolves around the record-setting 12-year, 151-game winning streak of the Concord, Calif., De La Salle High School football team, whose feat remains unrivaled in American sports. As such, it’s not exactly an underdog tale: De La Salle’s Spartans were champions, kings, on top of the world in 2003. Instead, we see how they rebounded from a couple of major setbacks, including a tragedy involving one of their teammates, and what happened when they eventually encountered a team they couldn’t beat. But still, it’s a bit hard to feel too sorry for a bunch of California teens at a well-off, suburban school that won every game they played for more than a decade. 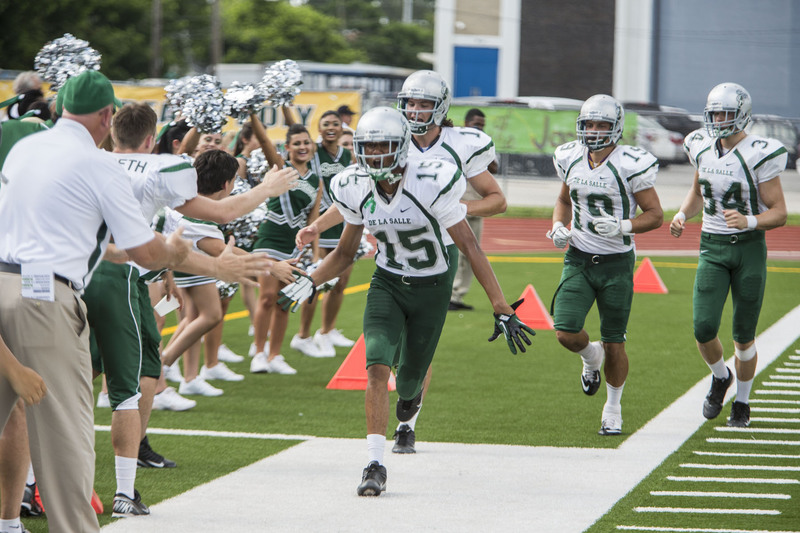 So director Thomas Carter, in his adaptation of Neil Hayes’ 2004 book, focuses his attention on the team’s soft-spoken coach, Bob Ladouceur (Jim Caviezel) and his message to his players: Football isn’t just about football—it’s about unity, family and teamwork. Coach Lad is also the school’s religion teacher, and he likes to toss Bible verses in with his tractor-tire workouts, blocking drills and tackle plays. The movie’s numerous other faith references and subtle sermonizing—most of it synched to sweeping, syrupy music to underscore the moment—will no doubt appease churchgoers. Caviezel will be familiar to many viewers from his current starring role on TV’s Person of Interest, and many will also remember that he played Jesus in Mel Gibson’s bloody Passion of the Christ (2004). As Ladouceur, he’s also somewhat Christ-like, a pious figure who encourages his players to not “exalt” themselves. Judging from the end-credit video clips, Caviezel plays his role very close to the low-key temperament of the real-life coach. But his performance is so pious and so low-key, it almost feels like he’s standing on the sidelines of the movie in which he’s supposed to be starring. 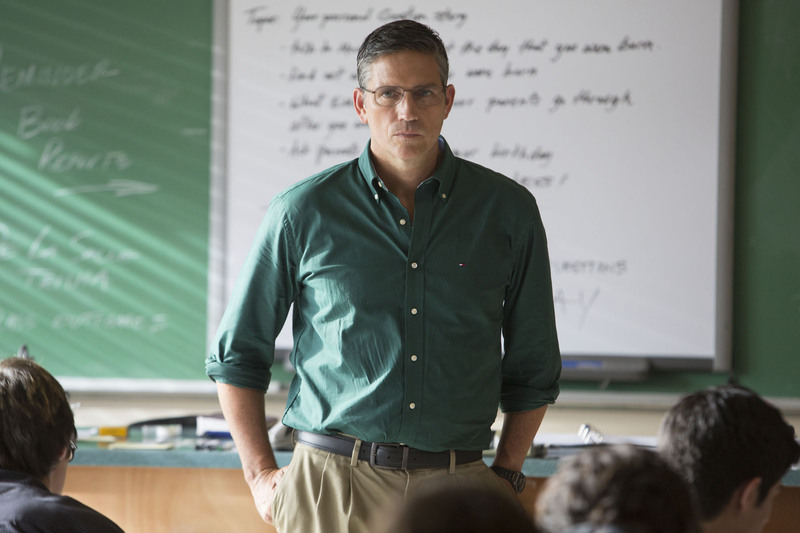 Caviezel makes the coach seem he’s carved out of a big block of grim, sacred wood. Laura Dern plays his wife, and Michael Chiklis is his assistant coach. Thank goodness both are around to bring some zing to the party. Clancy Brown plays an overbearing father of a star player, but the script almost pushes him into clichéd-villain territory. The actual football scenes have the crunch and wallop of realism, thanks to veteran Hollywood sports stunt coordinator Allan Graf, cinematographer Michael Lohmann and a squad of college-player stand-ins. But the movie struggles to find its dramatic center, or even a real message. It puts several ideas in play—the coach’s regrets, his newer players’ hubris, what it means to be “men”—without ever really following through on any of them. And what does the phrase “When the Game Stands Tall” mean, anyway? Instead, the film settles for a soft, mushy kind of feel-good uplift that moviegoers have seen many times before, more powerfully and more potently. And in a movie about a game being about something supposedly more than football, it comes down to a yet another big finish in yet another a big game that lets you know that, hey, at least in Hollywood, it’s mostly still about football, after all.